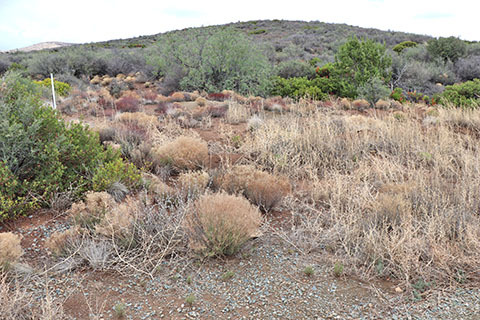 Horse Property in Prescott, Arizona and the surrounding areas. 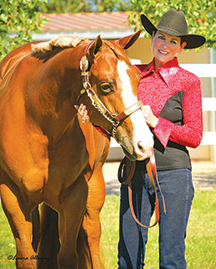 Arizona Horse Connection Magazine until it sells! Gorgeous Mountain Views. High end community with site-built homes only. Very horse-friendly area. 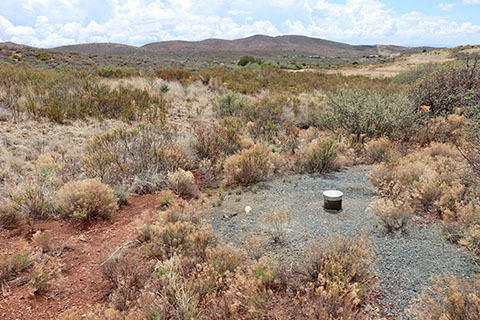 Easy access to Phoenix & 10 minutes to Prescott Valley for all amenities. Customize your search to find exactly what you want! 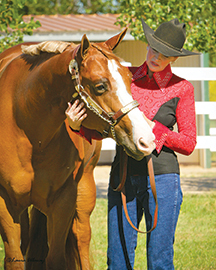 Click Here to Search for all Residential Horse Properties! 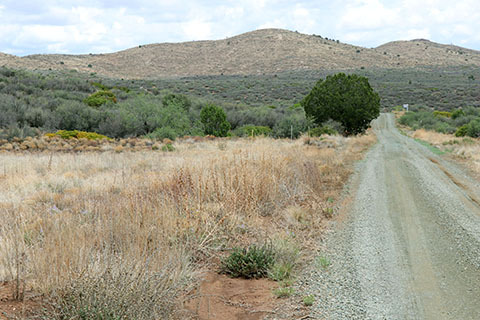 Do you have a horse property in the Prescott, AZ area that you want to sell? 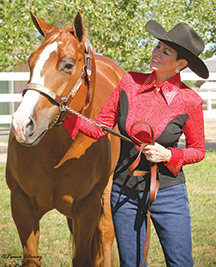 Let me evaluate your horse property and give you my opinion as to its current value. (I am BPO Certified.) 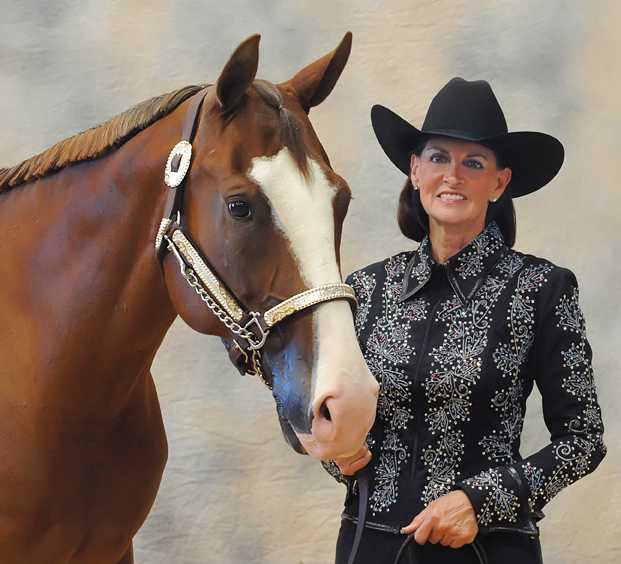 List your horse property with me and it will be advertised on this site and various web-based medias to get the word out to thousands and thousands of horse people throughout the country. 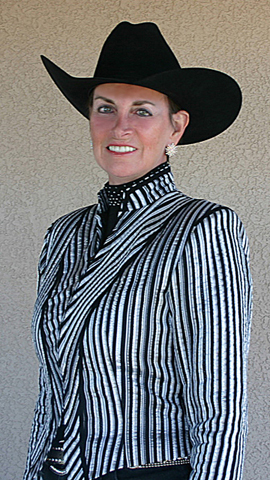 My personal facebook page features my listed properties and I have a business facebook page, Horse Property in Prescott, AZ that will give your property extra exposure!! Your property will also be advertised on a full page color ad in the Arizona Horse Connection Magazine every month until it sells! I have been a Real Estate Broker since 1978! And I am the Designated Broker/Owner for my company, Realty Expression. I personally handle every aspect of each sale. I answer the phone regardless of whether it is on a weekend, or after typical business hours. Showings for your property will be scheduled directly through me, and not through an impersonal showing desk. Give me a call to see what real personalized service is all about! Take a look at some of my Satisfied Clients' Testimonials. Homes range in size from 1,500 sq. ft. to 4,795 sq. ft. Call Trudy at 928-636-9380 for details. 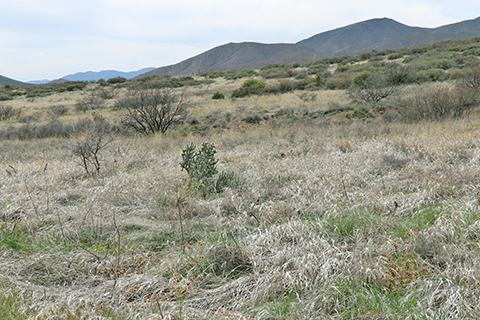 7 Acre parcel in High Chaparral Ranches, Mayer, AZ MLS # 1020216 - Parcel #500-09-173G - Zoned for horses. Septic installed for a 3BR/2BA home (cost sellers approx. $14K) Lots of level, flat areas on parcel with gentle slope. Beautiful mountain views in all directions. 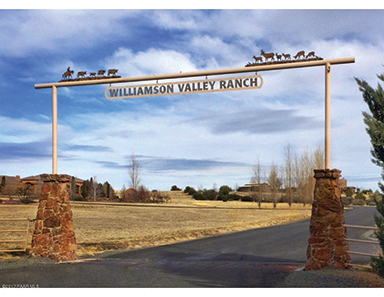 Site-built home only in High Chaparral Ranches. Lots of "horse people" in the area. Community is surrounded by State Land for privacy & great riding. Underground utilities. 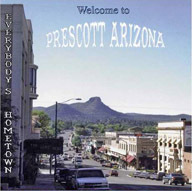 Only 10 minutes to Prescott Valley & easy commute to Phoenix. $59,500. Call Trudy for more information or a private tour. 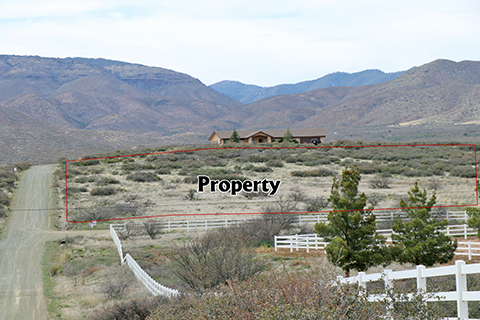 Prescott, AZ MLS # 1015773 Parcel #306-47-196C Crossroads Ranch - 16 Acres with gorgeous views! BACKS TO STATE LAND FOR ENDLESS RIDING!! Owner financing availablewith minimum 10% down, various loan packages available, 6.5% interest. All underground utilities, power to lot line. 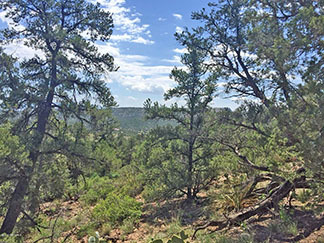 Mature vegetation with juniper, piñon, pines & amazing 360° views. Multiple bulding sites. $168,000. 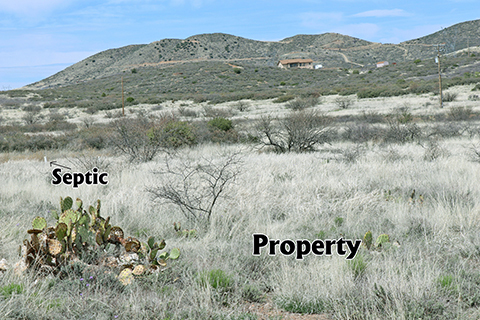 All 3 lots are contiguous & can be sold together - all have multiple gorgeous building sites. All paved road. Mountain views in every direction. OWNER FINANCING AVAILABLE with minimum 10% down, 6.5%, various loan packages available. 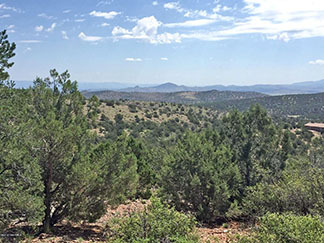 Prescott, AZ area MLS #1013879 & MLS #1013880 - 5 Acre parcel with well (1.76 gpm) - $43,750 + adjacent 6 Acre parcel - $52,500 in High Chaparral Ranches, Mayer, AZ. If both parcels are purchased together, total price is $94,600. Gorgeous mountain views. Community is high-end site-built homes only (minimum 1,500 sq. ft.) "Horse-friendly" community. Easy ride to State Land for NO TRAILERING. Easy access to Phoenix via Hwy 89 to I 17. 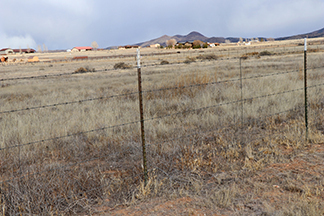 10 minutes to Prescott Valley for all amenities. 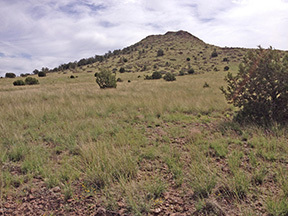 Prescott, AZ Parcel #306-35-231G - 22.86 acres in Crossroads Ranch with great producing well. Power to property line, all underground utilities. Just one land parcel from state land for endless riding. 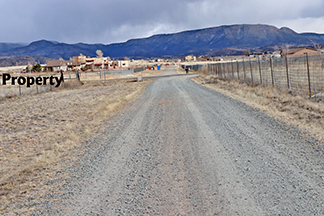 All paved roads, beautiful view of Granite Mountain and surrounding hills. 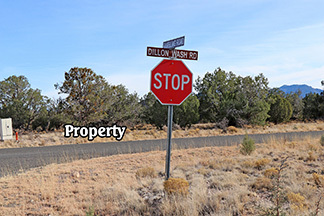 Located on south side of Dillon Wash Road where it intersects with Rambling Road. 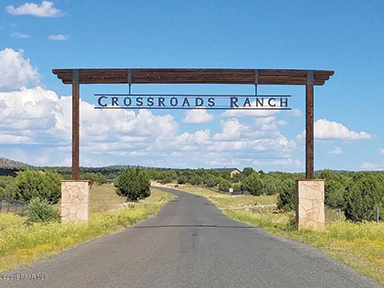 Crossroads Ranch is an open range 5,000 acre premier equestrian community. 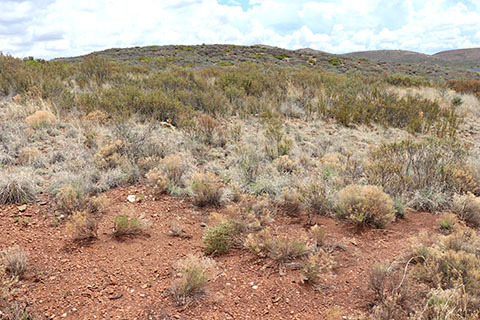 Flat and usable parcel with lush natural vegetation of piñon, mesquite and some pine trees. HOA primarily for road maintenance. $9,000/ACRE. 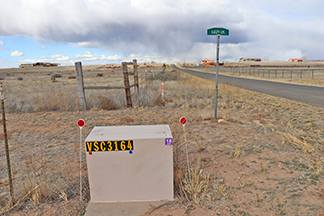 Seller may consider splitting property into smaller parcels. Call for details. TEMPORARILY OFF THE MARKET . 3,904 sq. ft. custom home - 3BR/2BA, 1,150 sq. ft. game room, eat-in kitchen + dining room, 4-car oversized garage; 4-car carport attached to workshop, RV carport/hay storage; RV hookup & cleanout area for overnight guests. 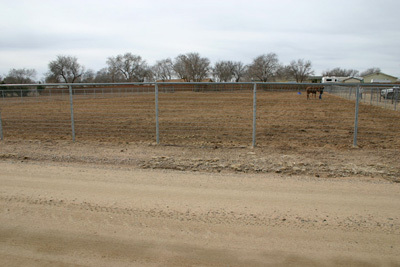 Electric gate & perimeter fenced with pipe-rail & no-climb; 2,440 sq. 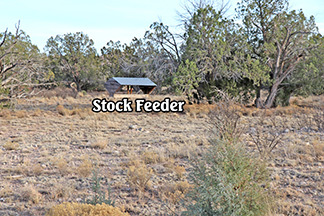 ft. 5-stall block Barn with turnouts, huge tack room + feed room with sink & toilet, loafing shed, round pen, several large fenced arenas; 4,000 sq. ft. workshop + 800 sq. ft. 1 bedroom apartment; Koi pond; Solar panels (owned) for house & barn. 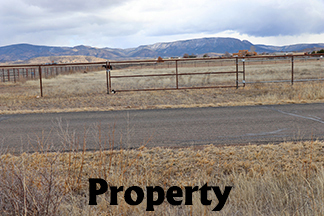 Adjacent to State Land for endless riding - no need to trailer. All paved roads, no HOA! Call for more information or a private tour. Offered at $974,900. Click here for video of property Temporarily off the market. 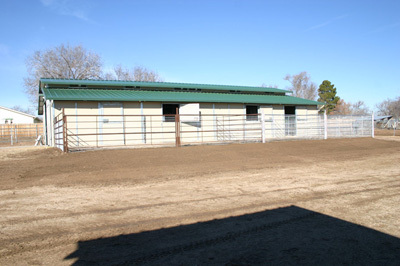 Large arena, turnout area, round pen, tack room, wash rack with heated water, vet stock available for use. 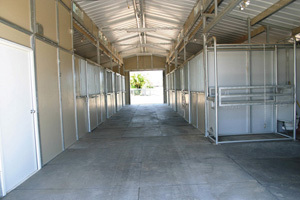 Other services include blanketing, feeding supplements, being available for vet and/or farrier. Limited spaces available. Lessons & training also available. $ 375+/- per month - Inside barn stalls with runs, includes heated auto waterers, fly spray system, alfalfa hay & pellets fed twice a day, stalls cleaned twice a day.